IN SIX SHORT years, Journal Media has disrupted the Irish digital publishing world. Our flagship brand, TheJournal.ie, is now the main online source of news for Ireland. Sports fan favourite The42, entertainment and internet culture giant DailyEdge with its core audience of smart, internet-devoted women, and business hub Fora.ie have extended our reach across a broad swathe of the Irish mobile audience. Our phenomenal growth to this prime market position is not by accident. It has been driven by some of the most talented, innovative and creative people in Irish digital media today. This is your chance to become one of those people. More than that, this is your chance to be a leader in our team. DailyEdge has developed a distinctive voice which is offbeat, smart, humorous and irreverent. It currently focuses on entertainment and internet culture and is unafraid to present a wry take on the issues dominating online conversation at a given moment. It has a clear voice: smart content targeted at Irish women which they can trust, which makes them laugh and which makes them think. - Mastery of web publishing tools and common office computer software programs. This is a job that requires someone who has vision, creativity, amazing communication skills, buckets of common sense and a serious dose of humour. Feel free to make us aware of what you are about in your application letter to us, when you attach it to your CV. Applications received which are missing any of the three elements mentioned here – full CV, application letter, completed task as outlined above – will not be processed. Please email applications to jobs@thejournal.ie marked DailyEdge Editor and include all attachments in one email. Closing date for applications is Friday, 18 August 2017. Email “Is this you? We're looking for a creative, innovative leader to be the Editor of DailyEdge ”. Feedback on “Is this you? 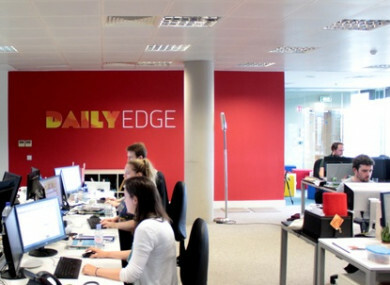 We're looking for a creative, innovative leader to be the Editor of DailyEdge ”.